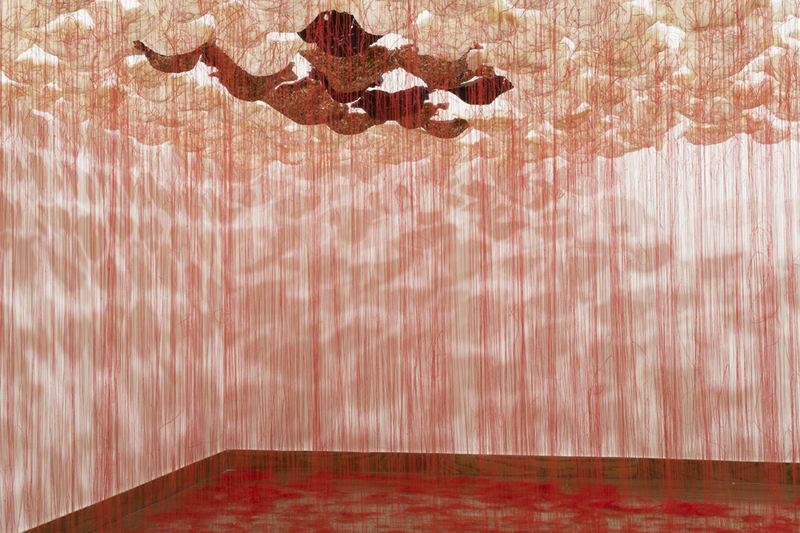 Evoking a sense of wonder and awe, Giehl’s installation is a meditation on world hunger. 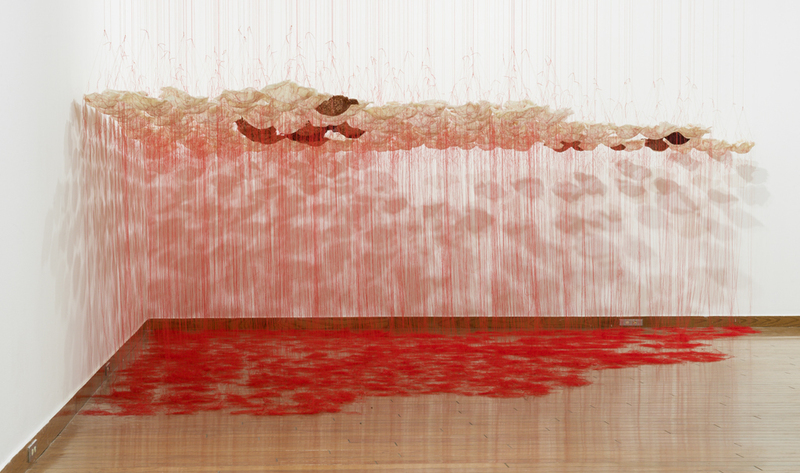 Suspended from the ceiling by blood-red embroidery thread, hundreds of cast rice vessels hover at heart level. 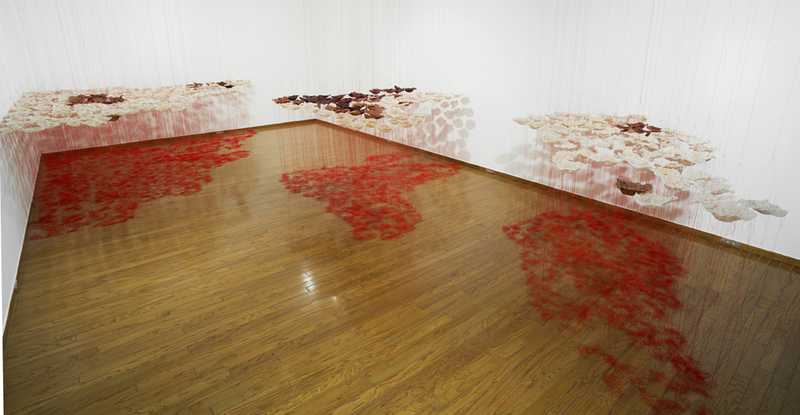 The seemingly tangled piles of thread on the floor form the continents where hunger is greatest. Tara Donovan-esque in sheer magnitude of labor and production Giehl’s fragile sculptures possess a symbiotic relationship between form and content. Resisting didactic interpretation Giehl’s work encourages discourse on both global and local levels. During the closing participants donating food receive a rice vessel; helping dismantle the installation as hunger needs are filled.